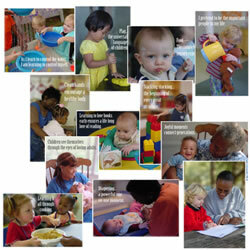 Check out our Insights and Inspirations article for tips on choosing the appropriate program or curriculum for the infants and toddlers in your care. Dr. Phelps has over 40 years experience working with young children and their families. For nine years she taught kindergarten and first-grade in the public schools of Wakulla and Leon Counties in the state of Florida. For the past thirty years she has been the Owner/Director of the Creative Pre-School, providing care for approximately one hundred and thirty children, ages two months to six years, on a full day, year round basis. Creative has been chosen as a national and state model for the inclusion of young children with disabilities; continuously nationally accredited since 1989; and "A Gold Seal" program in the state of Florida. 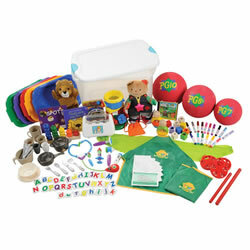 It is also the home of The Creative Pre-School Model Program Curriculum: Beyond Centers and Circle Time©. Dr. Phelps is the Vice-President of The Creative Center for Childhood Research and Training, a non-profit corporation, providing training and program consultation for adults working with young children. CCCRT conducts and supports research, and makes presentations to professional and non-professional groups on a variety of subjects concerning young children and their families. Dr. Phelps is an international consultant on early childhood education to the Republic of Indonesia, and has conducted multiple national symposiums and workshops in that country. Dr. Phelps is active in local, state, and national professional organizations. She works as an advocate for young children and their families on both the state and national levels. She is a past chair of the State of Florida's Coordinating Council for Early Childhood Services appointed by the Commissioner of Education for the State of Florida and a past member of The Florida Interagency Council for Infants and Toddlers. 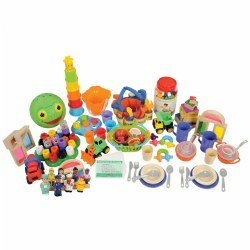 She has published articles in professional early childhood and special education journals; directed research in early childhood settings; and regularly conducts workshops for educators and parents on play and play environments, behavior management, and numerous other topics related to young children. During the fall of 1992, Dr. Phelps was recognized as Volunteer of the Year by The Florida Association of Volunteer Agencies for Caribbean Action and as the Child Care Advocate of the Year for her work on behalf of young children by Big Bend Community Coordinated Child Care. In March of 1994, she was chosen Public Citizen of the Year by The Big Bend Unit of the National Association of Social Workers, Inc.; in May of 1998, she received The Outstanding Women Award from the Tallahassee Branch of the American Association of University Women; and in August of 2002 she was presented with the Research in Education Award by the Florida State University chapter of Phi Delta Kappa. Most recently, the Tallahassee 25 recognized Dr. Phelps as a "Superhero" for her dedication and commitment to children. The preceding link is external to Kaplan Early Learning Company's web site. 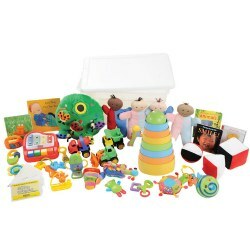 Kaplan Early Learning Company cannot attest to the accuracy of information provided by this site. 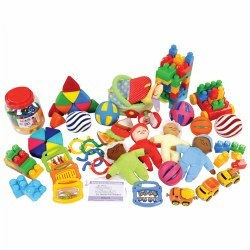 Linking to a web site does not constitute an endorsement by Kaplan Early Learning Company, or its employees, of the sponsors of the site or the products presented on the site. 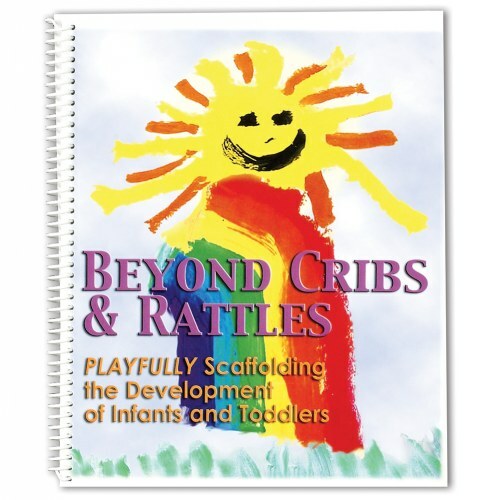 Beyond Cribs and Rattles is excellent! 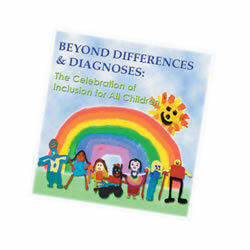 This is a clearly written, developmentally appropriate curriculum for our younger children. It is nice to see how the program flows naturally into the classroom from researched data. It points out why some common practices that occur in classrooms may be creating an environment that causes conflict for this age group. 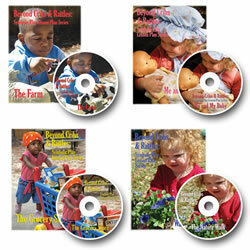 I also viewed the DVD Lesson Plan Set for Beyond Cribs and Rattles. I feel it is a vital teaching tool for administration, staff, and parents. Many people need to see the children engaged in the process to believe that this age group will thrive with this program. Bottom line... the focus is on the children's development and happiness and not on "babysitting" these children until they are old enough to participate in a "real classroom environment". 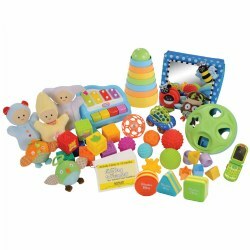 This play based curriculum allows the child to grow and learn to their fullest potential through a planned and organized environment. I found this book to be a little harder to apply than some of the others.The info is good.